One of the best snooker players in the world, Mark Selby or ‘the jester from Leicester’ as he is also known, is a Triple Crown winner who continues to play at the highest level of the sport. From an early age he showed his proficiency on the table, refining his talent every day after school at his local snooker club in Leicester. He joined the professional tour as a 16-year-old, beginning his career on the UK tour in 1998. In 2003, at the age of 19, Mark reached his first ranking final where he was defeated by David Gray. In 2008 he won his first ever ranking tournament triumphing in the Welsh Open, defeating one of the world’s greatest players, Ronnie O’Sullivan, 9-8 in the final. One month before this victory he triumphed in the Masters at Wembley Arena , adding a first major title to his record. As the years progressed Mark began to establish himself as one of the world’s best players and frequently appeared at the latter stages of tournaments. 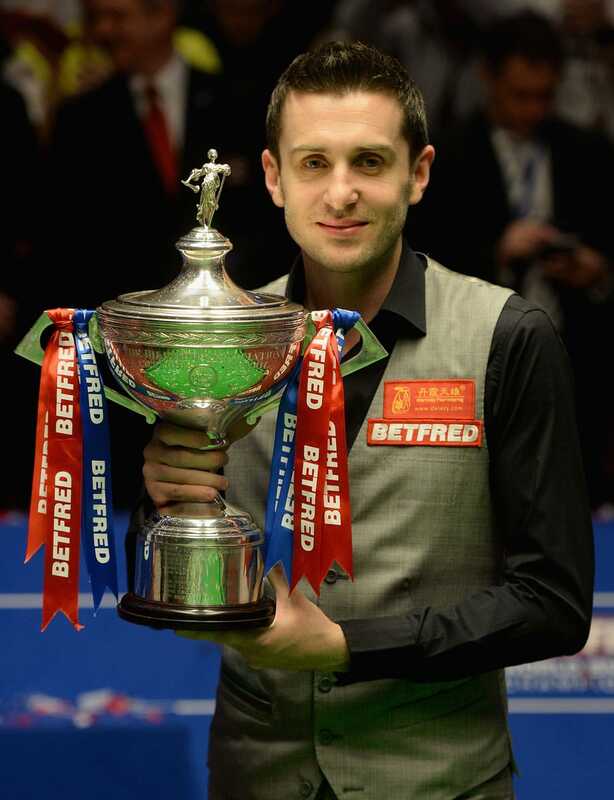 In the 2012/13 season he again added the Masters title to his list of achievements, and also clinched the UK Championship for the first time. In 2014 Mark completed his Triple Crown by winning the prestigious World Championship for the first time. In total he has won eight major tournaments in his career, most recently the 2017 UK Championship and World Championship. This achievement makes him one of just ten players to win the Triple Crown in the history of the sport. 1999 – Joins the professional snooker tour. 2003 – Reaches his first ranking final. 2008 – Wins the Masters title, the first of his Triple Crown wins. 2010 – Reclaim the Masters after losing it a year before. 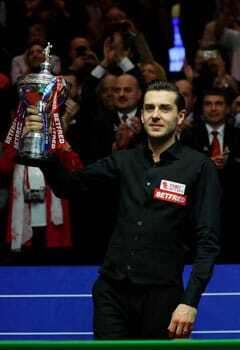 2012 – Wins the UK Championship for the first time. 2014 – Completes the Triple Crown win after victory in the World Championships . 2017 – Wins both the UK and World Championships . One of snooker’s powerhouse players, Mark Selby has competed at the highest level for over a decade, winning the illustrious Triple Crown and twice topping the world rankings. Known as ‘the jester from Leicester’, Mark made his professional debut aged just 16, demonstrating his potential on the world stage. In 2003, and still in his teens, he reached his first ever ranking final, though was defeated by David Gray in the Regal Scottish. Despite losing this match, the experience stood him in good stead and in 2007 he made it all the way to the final, which included a stunning comeback, to beat Stephen Lee in the first round. His first major tournament victory came in 2008 when he triumphed in the Masters . This was just the start of many honours to come his way. Mark won the Masters again in 2010 before his most successful season to date in 2013. 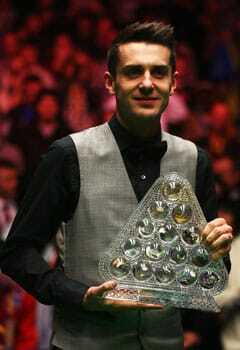 He won two Triple Crown events, the Masters once again and for the first time ever the UK Championship . The following year Mark completed his Triple Crown when he secured the World Championship title, defeating the legendary Ronnie O’Sullivan 17-14 in the final. This marked O’Sullivan’s first ever defeat in a World Championship final and saw Mark become only the tenth player in the history of the game to win the Triple Crown . Most recently, Mark won two Triple Crown events in the 2016/17 season, taking home the UK and World Championship titles to take his tally of Triple Crown event victories up to eight. Now ranked as the current world number one, Mark is continuing to look forward and hopes to win many more major honours in the game. 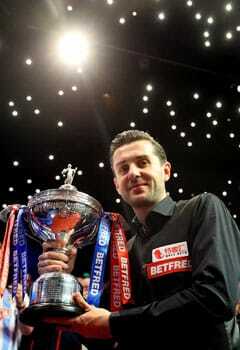 Due to him being one of the best players in snooker, Mark Selby has a high profile. Therefore, presents a great opportunity for brands who work with him to be presented to a large number of people. In the past he has worked with brands including Red Monkey , Betfred , Taom Chalk and many more, all receiving a huge boost from the working with one of the stars of the game.